Kinvara Juniors first championship outing resulted in a narrow one point defeat, but will also give confidence to the squad that they have a team that can battle for the honours this season. Salthill would be favourites in this group, and lived up to this tag as they played impressively in the opening half. Indeed, had they taken more of their opening quarter's chances they would have had a more comfortable lead at the break. The city side led by 0-3 to 0-0 after 10 minutes, but also missed several other scoring opportunites. Kinvara then responded with a Shane Byrne free, and Paul Keane followed a minute later with a pointed '65. Salthill pointed again, before Damien Huban scored our first point from play. Salthill matched that with another good effort from play, but again Kinvara tagged on another through the stick of Ian Bermingham. But the next 5 mins belonged to Satlhill and they got through for 1-2. That left the scores now Salthill 1-7 to Kinvara 0-4. Kinvara did manage to reduce the deficit to four points thanks to pointed frees from Shane Byrne and Ian Bermingham, but two more late first half white flags for Salthill gave them a worthy six point interval lead: Salthill 1-9, Kinvara 0-6. Kinvara needed a good start to the second half, but it was Salthill who took the initiative and stretched their lead thanks to two more points. Then came the Kinvara fightback. In the space of one minute Kinvara had raised two green flags. First Shane Byrne, now operating in the full-forward line rattled the net. The resulting puckout was won by Kinvara and Eric Keane fed the ball inside to Ian Bermingham who rifled home a goal. Scoreline now was Salthill 1-11 to Kinvara 2-6. Satlhill's response was a pointed free on the 10th minute to give them a three point lead. Kinvara went hunting again and slowly edged their opponents back in. Damien Huban shot his second from play on the 17th minute, followed by a free on the 22nd minute, and then the much awaited equaliser came from an Ian Bermingham free on the 26th minute. All to play for! Both sides were now hunting the vital winning score, but unfortunately for Kinvara it did not come. Salthill pointed a free with 3 minutes remaining, and although Kinvara gave it their all in the closing minutes, the much sought after score was not to happen. Overall, Salthill looked the sharper side and we cannot argue their win. There was nothing lacking in Kinvara's battling qualities, but some of the first touch, striking and basic skills such as handpassing needs improving on. Still, the players are no doubt there in this squad and, with a bit of work, this squad has great potential. 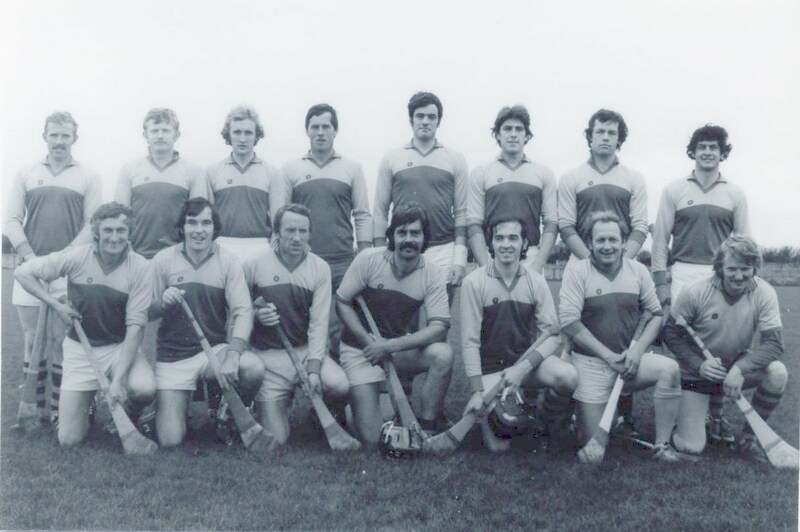 Darragh Kilkelly, Stephen Bermingham, Kieran Burke, Ger Linnane, Paul Keane, Jonathon Kavanagh, Paul O'Sullivan, Peter Mahon, James O'Hara, Shane Byrne, Damien Huban, Nessan O'Hanrahan, Eric Keane, Ian Bermingham, Eanna Linnane. Subs: Mark Bermingham for P. Mahon (inj), Keith Naughten for N. O'Hanrahan, Padraic Moylan for J. O'Hara, Michael O'Connor, Ollie Bergin, Philip McNamara, Dara Smith (inj), Rory Quinn.